Again, I'd still pop it off and check it. If you replaced it only two weeks ago then it should come apart fine. Yes - stick a hosepipe in the bottom and wait for water to come out the top. I can't remember how the 300 TDi cooling circuit works off the top of my head, but I do remember that the outlet from the jackets is at the back before going to the heater matrix. Stuff a hosepipe on there with the water pump off and check water pours out the front. Have you checked for an air lock in the thermostat housing? When i take off bung from top of thermostat housing water comes out and expansion tank level goes down. Which way round do the hoses to the heater matrix go? If they were the wrong way round would this cause it? I am going to bypass the heater matrix to try to eliminate that out of the equation! Thanks again, keep them coming as i am at a total loss...... next step rip it out and put a V8 in it! When you changed the HG did you notice what state the water bleed hole was in iirc its at the back manifold side of the block , the HG has ring seals on both faces of approx 18mm dia but the hole to pass the water is only about 3mm dia . This is critical to controlling the water flow around the head , also the 300's do need the thermostat fitted to control flow direction. I'd pull the pump again for a quick check. Fill procedure is both bungs out fill to level in header tank , fit cap and tighten, fill rad to top and refit bung then fill at thermostat and replace bung. Have you checked the top and bottom hose for delamination? To be honest i didn't notice the bleed hole I did thoughroughly clean the block surface ,scotched it up and cleaned with gun wash and blew out all the water ways i could see, bolt holes and bores etc as i was fitting a MLS gasket and wanted to make sure the block surface was dead flat and clean. I take it there is no way of checking the bleed hole without taking the head off again? I back flushed the block by putting a hose on to the outlet connector that goes to the heater matrix and took the water pump of and water poured out. I refilled the system as per you're method above as i have done in the past and took for a drive....... and its still the same. Realy starting to loose the will to live...just cant cure it.... having to use SWMBOs Trooper for work which isn't going down well. I think I'd be inclined to put a new std rad in , not stupidly expensive and , if you go back to basic symptoms, it does suggest rad issues? Anymore ideas, really am at a total loss what to try next? There's not a lot to go wrong with these. I would offer to pop over and take a look, but I won't be down your way until January. Bit of a frustrating day then Tony, have you checked the new water pump in amongst all this ? I'd be looking for the impellor clearance to pump body,make sure impellor and pulley boss are fixed to shaft and also direction of vanes. I can't really think of any other stuff to look at . If you have one of those laser thermometers or could borrow one from a local garage it would be possible to get exact figures on the temp of different parts of the system. Heating gets hotter the hotter the engine is. There are no air bubbles, no air lock in heater, no water loss. Pulling my hair out now as need to get sorted as got alot of work to do with it. Any other suggestions greatfully recieved!!!!! Not sure is this will help..... but it looks like you've tried just about everything with respect to the cooling system. I guess the only other obvious thing to check - is the source of the heat. I've got a pimped intercooler, heavily tweaked bosch pump, standard vicous fan, a turbo running at 19psi. 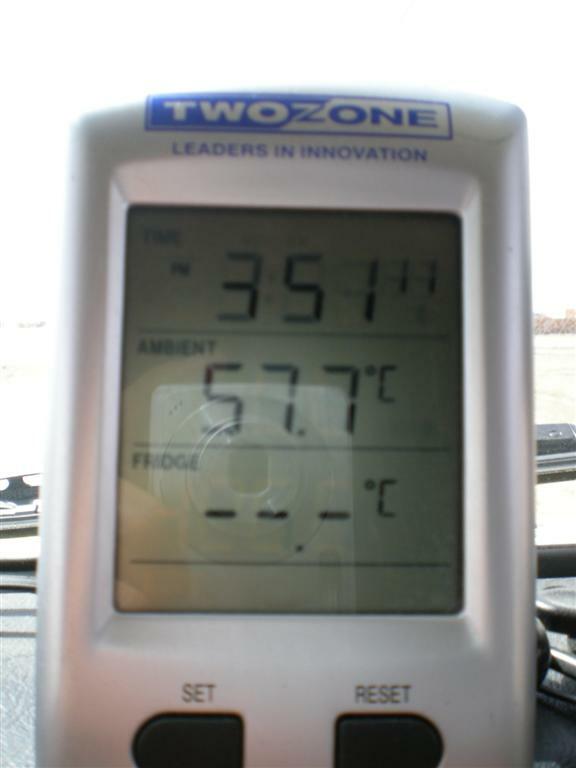 In the Sahara desert in 2008 at a very uncomfortable 57c (yep, fifty seven celcius) ambient, the temp gauge still remained at 50%. So the cooling system is pretty awesome when it works. An EGT gauge (i.e. an "Exhaust Gas Temp" gauge). The only time my temp gauge has ever moved above the "middle", is when my turbo wastegate pushrod came off. Apart from an obvious loss of power, no sign of a change in exhaust smoke, the lack of air from the turbo resulted in over fuelling and EGT temps peaking at 550c. Normally, my car runs at 350c (450c when pushing it hard). Think the EGT gauge is about £70. Might be worth a punt - at least you'll know if the combustion side of things is healthy. Found mine on the web by searching for "DIGITAL EGT THERMOMETER PYROMETER W/ PROBE-NPT"
Pictures of Turbo +EGT gauge attached. Yes had the waterpump out 4 times now, as i said its a brand new genuine unit, check it again and again, no play in bearing, impellors fine. Checked the water pump, bearings fine, impellors fine, looks the same as an old one ive got as a spare, the only thing i can see is a very small scratch on the housing where the old waterpump bearing went, but its about 10m long and only 0.5 mm deep , so i cant see that that woud cause it. Anti freeze mix is good....used about 20 litres in the last week filling and draining so many times! I put a boost gauge on at the begining when this first started and its running at 1 bar. I also borrowed an EGT gauge and fitting to go into the EGR blanking plate, normal driving about 370 , when the overheating starts under full load 480, when i tweaked the pump 590 at full load. I think you might be chasing a red herring with your cooling system, apart from changing the water pump, but that wouldn't explain the sudden difference in running temperature. Have you checked the fuelling, you say you have a new injector pump fitted, check the timing with a degree wheel rather than the marks on the pulleys and have the injectors tested, the symptoms you describe sound like over-fuelling and/or possible turbo waste-gate problems (less likely). Personally I would be looking closely at the "recon" injector pump. You say "check the timing with a degree wheel ", sorry probably being thick but how is this done? I have another set of know good injectors will put them in. Waste gate i think is working ok as the boost pressure rises and falls with a presure gauge on when under load. 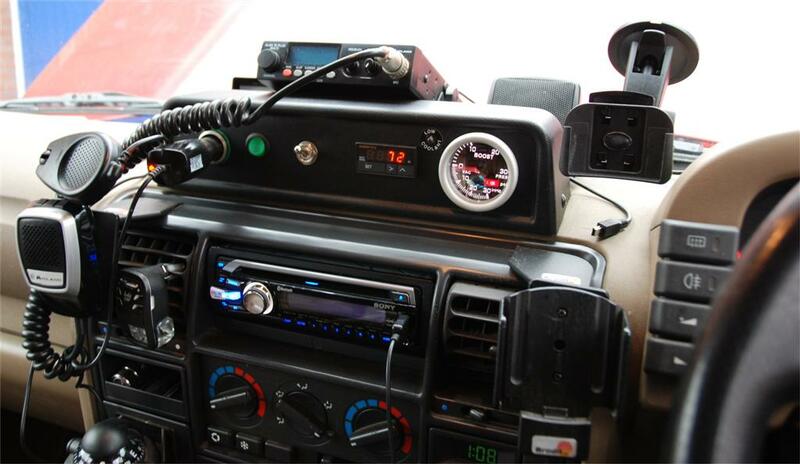 It's a way of checking the timing without using the timing marks on the pulleys or block. You need to pull no 1 injector and use a DTI/screwdriver/bit of wire etc to mechanically check TDC. Once you have the engine set at TDC you confirm your crank pulley timing marks are correct. Next thing to do is get yourself a 360 degree protractor and fix it to the crank pulley with a bolt/tape/blue tack etc so that it wont move, then set up a pointer at 0 degrees( a bit of welding rod or similar fixed to the block) now you can check your cam timing with a DTI (probably not necessary it but it only takes a couple of minutes to do) , injector pump timing is a case of checking the pump pressurisation stroke against the degree wheel ( I don't know the specifics for the 300tdi but I'm sure someone on here will know). The whole procedure is to eliminate the inaccuracies with manufacturing and reconditioning. Thanks for the explanation. Think i could do the first part ok, but the"pump pressurisation stroke against the degree wheel" sounds a bit above my skills? Will ask my local diesel speialist to check! Just an idea but have you thought about oil pressure if it is slightly low temperature will rise when under load because not enough oil circulating,but under normal conditions temp is fine.I only ask as when I lost oil pressure on my td5 I was asked if the temperature gauge shot up,this would happen due to friction caused by lack of oil. Oil light goes straight out on start up, and in the last couple of weeks oil and filter have been changed twice after doing head gasket, so prety sure thats ok.
Ok, so yesterday i borrowed a laser temp gauge, and when it started to get hot under load, i pulled over on to the hard shoulder, and poped the bonnet, the hottest area was on the head at number 4 cylinder 98 , when the heater fan was turned on this dropped practically imediately down to the same as the rest of the head 90. The radiator temp was 98 by inlet and 85 by outlet. Once its got hot, is now getting hot even on a slight incline or under heavy acceleration, but drops straight off to normal as soon as you back off the power, i can make the temp gauge "dance" by puting under load and backing off! I maybee imagining it but the hoses seem a little more pressurised than before, but still no bubbles, water loss, rise of expansion tank level, and sniff test still fine. So to sum up, it seems to be getting worse, im chasing my tail, SWMBO is not speaking to me, having to drive an Isuzu, and still not a clue what to try next! Any more ideas would be very gratefully recieved! O.k so the fuel system has been eliminated (probably), the only other thing you have changed is the head gasket (sorry). One other possibility, I assume you have checked your tappets, but have you you checked the lift of the cam, you may have a worn lobe on no4 exhaust or all of them for that matter hence the higher temp on that cylinder. I would have thought the radiator should be much cooler than 85 at the outlet? Is there anything obstructing air flow through the rad, such as spot lights or numberplate? Could try removing the grill temporarily to see if this helps at all? Yes the tappets have been adjusted twice, since doing the head gasket. No i havent checked the lift of the cam. Do you think the head gasket that i replaced maybee at fault now, as the symtoms are worse? The head gasket wasn't in a blue box, was it?